Celine Dion has long been a favorite musical artist of mine; I’ve enjoyed following her career over the years, but one of my favorite things that she has ever done was the pop version of the timeless song “Beauty and the Beast”. The Disney classic animated film Beauty and the Beast returns to theatres everywhere on January 13, 2012 in 3D. This is the perfect movie-going experience for moms and dads alike who grew up loving Beauty and the Beast to share it with their own children. I took my 3-year-old daughter, and she loved it! I’m sure that your children will, too. 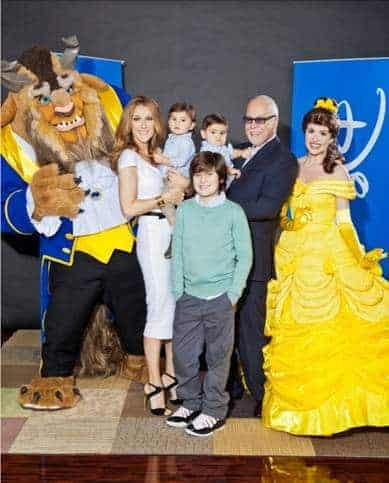 Enjoy these photos of Celine Dion, Zachary Levi (the voice of Flynn Rider in Tangled), and other Disney stars celebrating the theatrical release of Beauty and the Beast 3D, as well as video with sound taken at the El Capitan advance screening.